A new 7,721-capacity south stand at Headingley rugby league ground, home of Leeds Rhinos, is nearing completion. The steel-framed structure will have 2,233 seats on its upper tier, with the remainder of the capacity standing in the lower paddock. 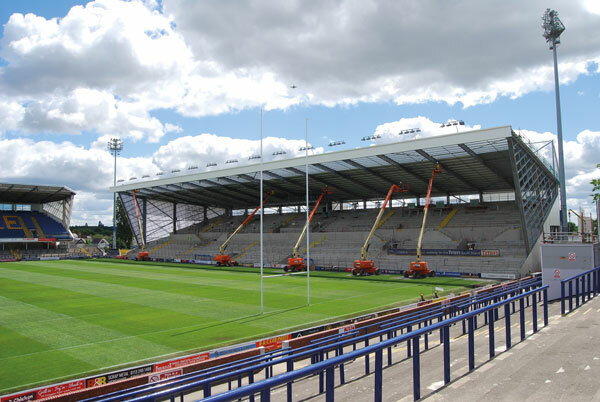 The stand forms part of the overall redevelopment of the Headingley stadium, and work is also currently ongoing for a new north stand that has back-to-back tiers overlooking both the rugby ground and adjacent cricket arena. Working on behalf of main contractor Caddick Construction, Hambleton Steel is fabricating, supplying and erecting 1,800t of steel for both stands.